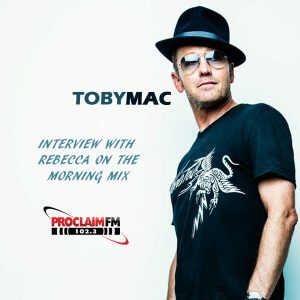 I had the privilege of speaking with music artist TobyMac recently and wanted to share the interview with you!! I hope you enjoy! Be sure to get your tickets to the TobyMac Hits Deep Tour February 28th at The Huntington Center. Click here for tickets! Great interview, Becky! I loved the conversation you and Toby Mac had. We love his music! Keep doing what your doing. God has you in the perfect ministry! Love ya!